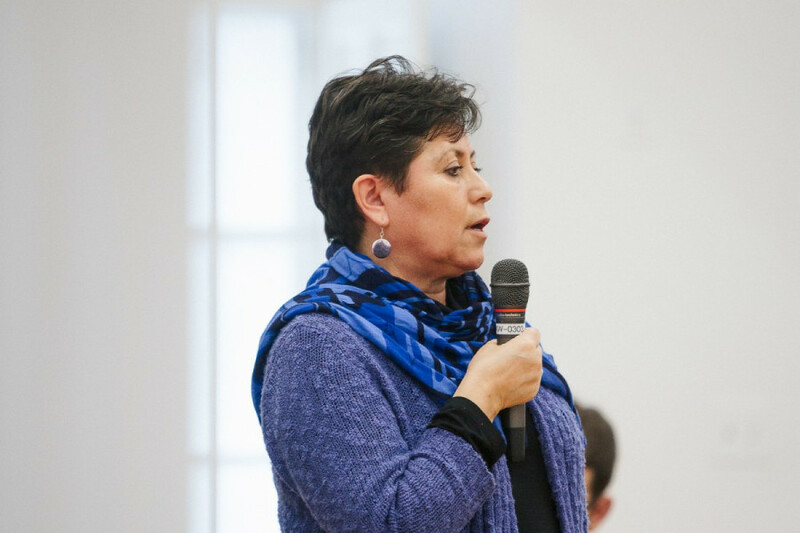 Former First Peoples Studies professor Donna Kahérakwas Goodleaf is Concordia’s first Indigenous curriculum and pedagogy advisor. The position was created in collaboration with the Indigenous Directions Leadership Group, as part of Concordia’s Teach for Tomorrow project, which is one of Concordia’s nine strategic directions. “Hopefully, I’ll be able to contribute and make a lot of in-roads into making Indigenous peoples visible, our Indigenous ways of knowing [visible] to the university,” said Goodleaf. Goodleaf is a member of the Turtle Clan from Kahnawà:ke, and identifies as Kanien’kehá:ka. She started teaching as a part-time faculty member in the First Peoples Studies program in Winter 2017. For two semesters, she taught a course on the Haudenosaunee, or Iroquois, people. Goodleaf began the position this semester and was hired on a two-year contract. She is the fourth curriculum developer to be hired, but her position is different from the others, Vice-Provost Sandra Gabriele explained. Gabriele said that the university wants to go beyond seeing their commitment to Indigenous issues as one of their strategic directions. Instead, they consider it part of the university’s main mission. Goodleaf will be expected to facilitate anti-colonial training with faculties and departments, and will also help them with teaching strategies for new Indigenous content. She will be working with different faculties to find ways of implementing the recommendations of the Truth and Reconciliation commission within their courses. Goodleaf hopes to meet with the deans and chairs of all faculties and departments, to take a close look at how they can include Indigenous content in their courses, and to look at what they’ve done so far. She also hopes to reach out to Indigenous students and listen to their needs. While she sees her hiring as a good start, she hopes to see more Indigenous people hired at all levels of the university in the coming years. She would also like to see an expansion of Indigenous programs that “reflect the needs of the community,” and courses that reflect topics such as self-determination. “I don’t want to be seen as this window dressing. […] I think this should be the very beginning of it,” she said. “I acknowledge [the university] for making this effort and I hope that they truly are committed and I have to see how that’s going to turn out. I’m sure that they will make great efforts to really listen to the voices of the needs of Indigenous students and communities,” she added. Goodleaf said that she would like the university to continue creating relationships with Indigenous communities that are mutually beneficial and respectful. “And also for us to create our own space where we define our own research, where we define and create programs that we need to support our own people,” she said.